We hold this truth to be self-evident: Many celebs are emaciated shorties w/ giant noggins! Russell Crowe's height? 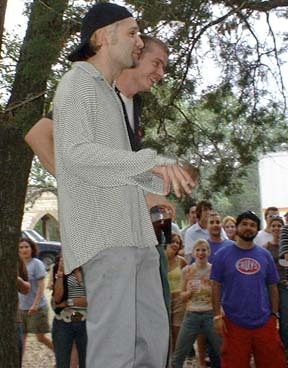 He's on stilts!!! 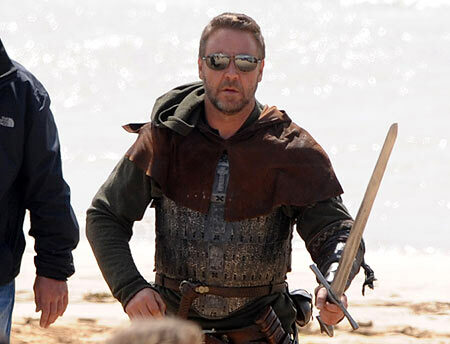 Heart-throb actor RUSSELL CROWE wears special shoes which make him look taller - and help him to keep his action hero image. The GLADIATOR star was reported to have taken off his unique footwear at a hollywood bash hosted by producer JERRY BRUCKHEIMER - and swiftly shrunk in size. Onlookers revealed the host elbowed Crowe and muttered, "Put your shoes on, you're blowing your image." Matthew McConaughey grows like a weed! NEWS FLASH: Actor grows taller! I spotted Matthew McConaughey not too long ago, and he was 5'11" tall! Funny, years ago when I was an extra on the film The Newton Boys, Mathew McConaughey sauntered up to the dinner wagon. He was at best 5'6" tall! And that's generous! I've seen Sandra Bullock more than once and she ain't tall--5'5". Has McConaughey's celebrity height suddenly increased in a 30ish growth spurt or are film star McConaughey's boots filled with new lifts? What do you think, my tall bubba? NOTE: I don't know what Sandra Bullock and MM have on their feet in this photo! Special height growing shoes from the Amazon? IMDB.com lists him at 6' tall! 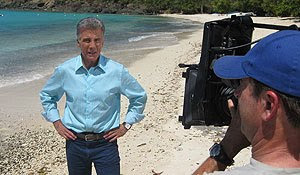 OK, John Walsh of America's Most Wanted has done great things for our nation. But I saw him in person: He's 5'4" tall! What's bigger: Corey or a picnic table? Answer: Feldman, but not by much! Eighties teen star Corey Feldman arrived at an odd screening of The Goonies in a cave near Austin, Texas, a few years back and proved why his career is so short on hits. His noggin, however, was much smaller than expected. Film fans got a sticker that listed Corey's height as 5'10" tall and weight at 120 lbs. Is Dog the Bounty Hunter a puppy? 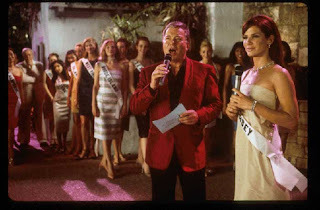 Don't mean to rag on Sandra Bullock, but I was on the set of Miss Congeniality in Austin way back when and saw her, Candice Bergen and William Shatner standing side by side on the stage. All three were pretty close in height and all quite SHORT. What are the official listings for supposed 5'7 1/2" Sandy's pals? Petite Bergen says she's 5'7 1/2" and Capt. Kirk claims 5"9' 1/2!!! BHP height guess for all three: 5'5". Melon size: Bullock-cantaloupe, Bergen-muskmelon, Shatner-watermelon. Taking the late night talk show fall! 1. Wearing boots. These add two inches to celebrity height. 2. Putting lifts in the tall star's boots. Right, Hugh Jackman? 3. By walking slowly (Josh Lucas didn't and fell on Conan once). 4. Ring around the desk. Shorter hosts like 5'9" Jay Leno stand on a tall spot, while 6'4" Conan O'Brien stands at a low point. 5. Leaning waaaaay over to shake less-tall celebrities' hands. 6. Having non-tall stars sitting when camera cuts to them. 7. 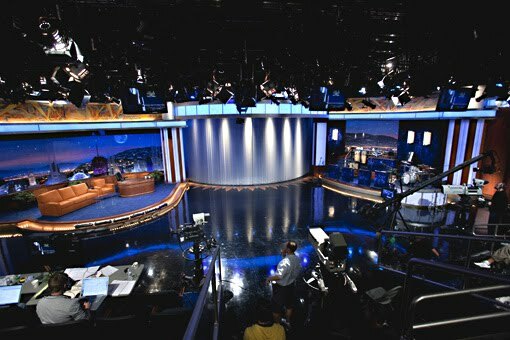 Very low chair--Conan's knees must be sore! 8. Never show guests' feet. Hide the boots and stiletto heels. 9. By lying about the host's height. Conan is described as a giant. Jay as being "tall." Right. And I'm in the NBA. Yo, Rocky! How tall is Sylvester Stallone?